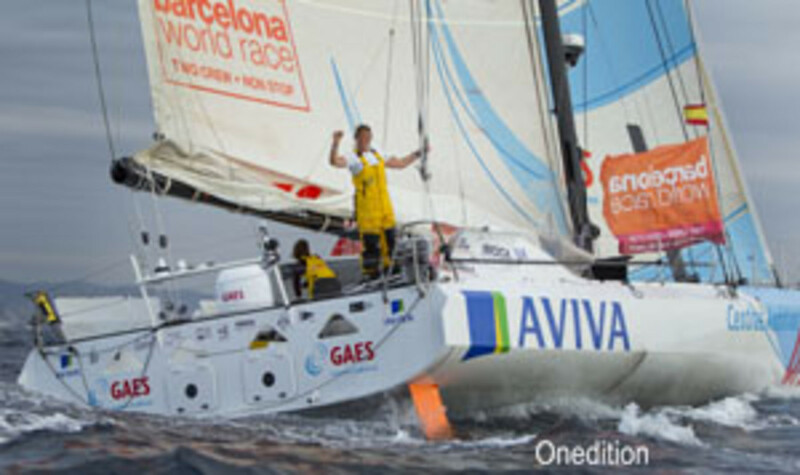 British skipper Dee Caffari and Spanish co-skipper Anna Corbella crossed the finish line of the Barcelona World Race Wednesday aboard their yacht GAES Centros Auditivos, both having achieved a world record. For Caffari, this marks her third race around the globe and puts her into the record books as the woman that has sailed non-stop around the planet more times than any other in history. Corbella also sets her own record as the first Spanish woman to circumnavigate the globe non-stop. The only all female crew to participate in the Barcelona World Race finished in sixth place, from a starting fleet of 14. Having spent 102 days at sea, the GAES girls were greeted by a flotilla of boats ready to welcome them off Barceloneta Beach. Caffari, 38, and Anna Corbella, 34, have been supported by Spanish hearing aid company, GAES, and the world¹s sixth largest insurance group, Aviva. "Sailing around the world just once in a lifetime is an amazing experience. To circumnavigate the planet non-stop for a third time and set another world record is an absolute privilege," Caffari said. "Every time you go down to the Southern Ocean and expose yourself to the extremes of nature you test your luck and, fortunately, mine has held so far. I am hoping that good fortune will continue as I am not finished with round the world sailing just yet." Caffari¹s next goal is to compete in the Vendée Globe 2012 with the intention of securing a podium position and the search for a new title sponsor to support her ongoing sailing campaign continues. For information, go to www.deecaffari.com or www.annacorbella.com.